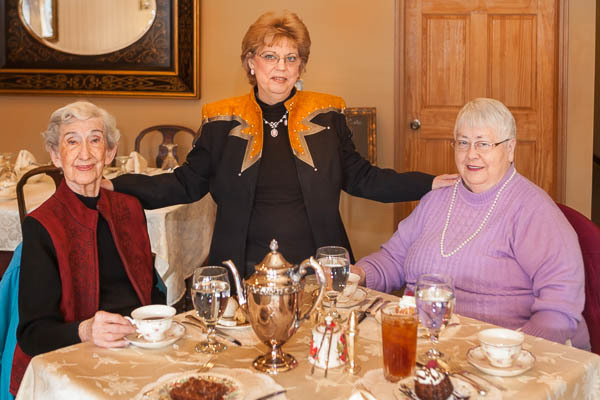 Marian Schaible, Pam Mathiesen, and Iva Johnson enjoy afternoon tea at Our Specialtea in Blair. Pam Mathiesen was recently named Enterprise Publishing Company Volunteer of the Year. In In addition to her work with the Nebraska State Fraternal Order of Eagles Auxiliary, she enjoys helping out and spending time with her friends who live alone.